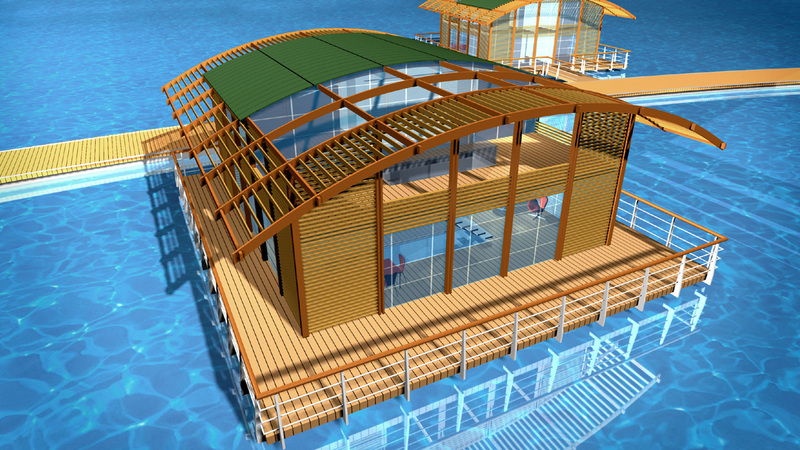 The Wood Village is a project by the architect Giancarlo Zema for a new low-cost floating resort on the sea. These artificial colonies are composed of twenty floating dwelling units built with the hull in steel and superstructure in laminated wood. 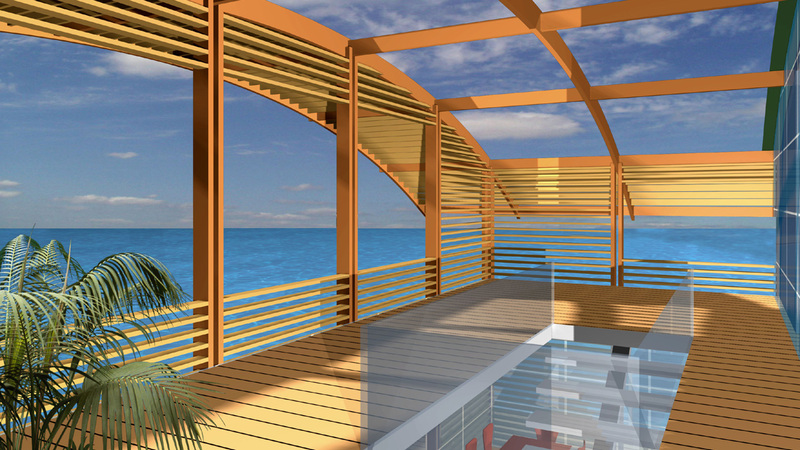 The general design is modular and easy to build thanks to repeating the same structural elements covered in wood. The singular dwelling units can be made in the yard and moved to the final location like a boat. 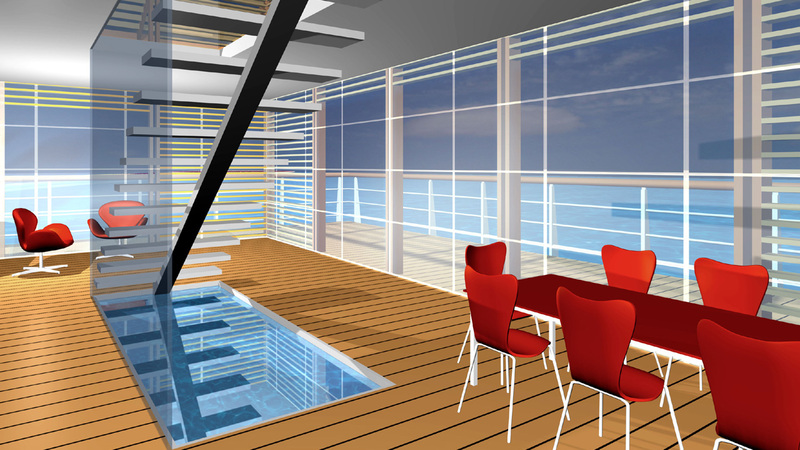 Each suite has two levels with large terraces indoor and outdoor. On the main floor is the living area and upstairs the sleeping area with facilities. 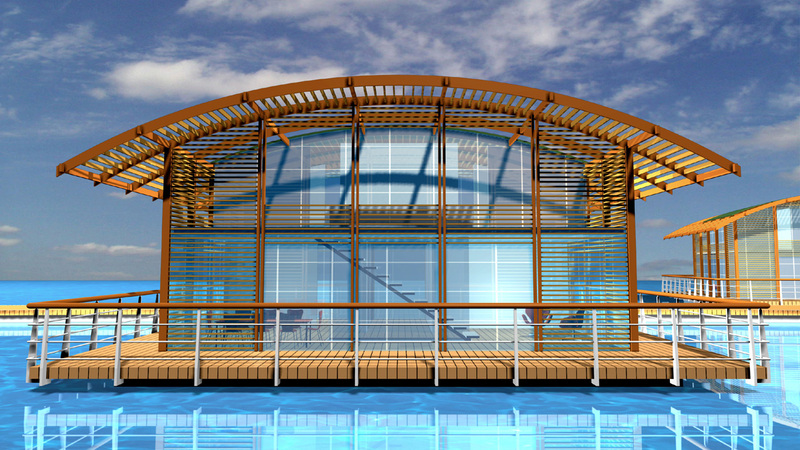 The external walls are in dark glass protected by wood break-sun. The construction looks softer and more harmonious due to the copper curved wood roof.